Failing your driving test can be a frustrating and expensive affair. Thus the shortest time possible to book a second test is ideal for most people. But you can make taking a driving test an exciting adventure if you and your instructor feel confident you have put in the necessary legwork to take a second test. On average, the waiting period to learn driving is three months but learning to be a professional can take you over one year. Always Driving are specialists in booking Emergency Driving Tests in London and its environs, and we are able to get our candidates a driving test at any Driving Standards Agency (DSA) test center in the city. Our “Last Minute Emergency Driving Test” service is perfect for you if you’ve already booked a driving test. If you were unsuccessful in your practical test and need to arrange a second test at short notice, Always Driving will assist you to get a test vehicle in at least 10 days. Besides, our London candidates have access to last minute, late terminations and short notice driving test date bookings. 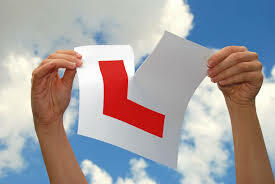 Always Driving are experts in finding Driving Test Bookings in London. Within 5 to 10 days, we’ll arrange a driving test for you to help you attain your driving license in the shortest time possible. If common or simple errors made you fail your first driving test, we can make a driving test booking for you with our driving test car hire vehicles in London. If you are trying to book a driving test in this internet age, it’s worth having a Twitter account and following DVSA Help support. This is the platform to visit to keep in touch with any tweets on short-notice cancellation test slots and alerts on any extra driving test slots. Unlike the online test booking system which may delay in posting alerts, DVSA’s Twitter page has a lot to offer, as every few minutes, they tweet a series of driving test slots for various centers either for the same day or for the next. You can even DM them to make a reservation, avoiding the systems tedious process. DVSA is perfect for candidates who don’t mind last-minute arrangements and are 100% ready to retake the first or second driving test at short notice. Let’s assume you booked a test 2 years ago, then you see a slot come up on DVSA Twitter support. Today, you can access the Gov.uk driving test booking system which allows you to easily replace the older slot with the new test slot. But be quick as they get snapped up in minutes. A tweet from DVSA that says ‘DM us to book’ means they’ll process same-day slots for you and replace your old booking with a new one.